How can you evaluate the learning of your people? 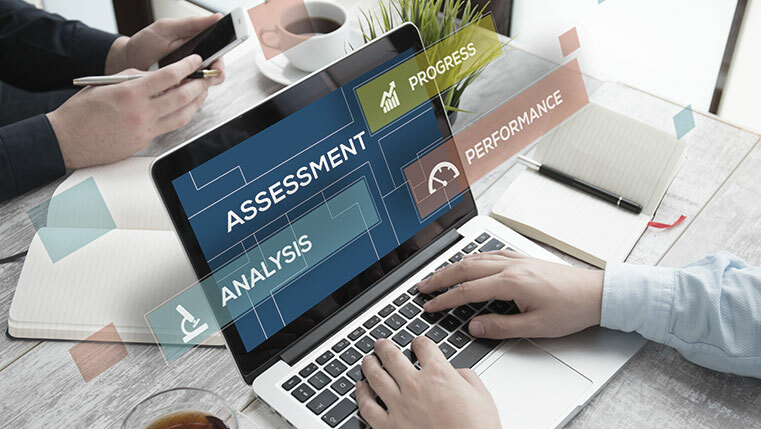 What does it take to develop a good web-based assessment that measures the effectiveness of your training initiative accurately? You need to make sure that the assessment is tied to the learning objectives. 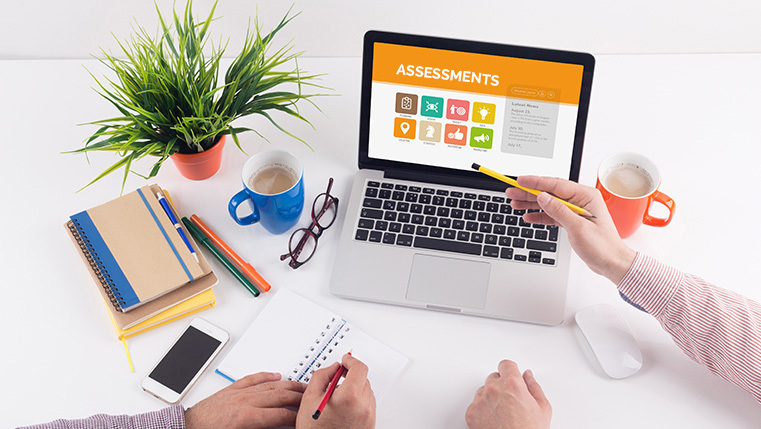 Why should e-learning assessments be based on learning objectives? Effective alignment of learning objectives with online assessments goes a long way in measuring the efficacy of a corporate training initiative. It helps you determine whether your staff members are able to perform what is expected of them, after completing the training program. For instance, the objective of your training program is to enable learners create a purchase order (PO), in Oracle E-Business Suite, in 3 minutes. To assess performance, learners are asked to execute the process of creating a PO in a simulated version of the work environment, and this helps determine whether they are able to complete the task in the stipulated period. How can you use learning objectives to develop good web-based assessments? Later, Prof. Lorin Anderson, a former student of Dr. Bloom, proposed changes to this model. He suggested that the primary focus should be on the tasks performed at each stage of cognition, rather than its outcomes. Prof. Anderson also advocated moving the fifth level of cognition to sixth and vice-versa. Here are the six levels proposed by him. Prof. Anderson’s model is widely accepted by the academic community and used by many instructional designers to frame learning objectives. Let us now look at what a learner is expected to do at each level. A learning objective needs to “match” the corresponding level of cognition. For instance, if your e-learning course enables your people recall the guidelines to use Personal Protective Equipment (PPE), you then need to frame its learning objectives based on the corresponding level of cognition i.e. remembering. To know more, check out the informative eBook Fundamentals of Learning Objectives in Training Design – Overview. Let us now see how learning objectives can be used to develop good online assessments. Remembering Asking learners to fill the blanks in a sentence, answer multiple choice questions, and label diagrams. These activities require the learners to recall information acquired. Understanding Giving assignments where your people need to provide a summary of the information learned, using descriptive questions; asking them to classify cases, elements, events and so on, based on set criteria. You can also present the learner with problems that require them to identify examples of concepts and/or principles. Applying Presenting learners with scenarios where learners need to respond appropriately and simulations where learners need to execute the steps of a process correctly. Analyzing Using case studies where learners are required to identify how the various elements of a business function are related to each other. Evaluating Asking learners to evaluate performance or products, based on pre-defined criteria. Creating Using online business games and presenting what-if scenarios, where learners need to find new solutions to an organizational problem. Let us now see how this framework can be used, taking a product sales training program as an example. Remembering The learner should be able to state the features of the product. Ask the learner to fill in the blanks in sentences, which describe the features of the product. Understanding The learner should be able to explain each feature in detail. The learner can be asked to select the explanation of a feature in a multiple choice question. Applying The learner should be able to describe how the product meets the needs of the buyer. The learner can be presented with a scenario which depicts the requirements of a customer. Then he can be asked to explain how the product can meet those needs. Analyzing The learner should be able to compare the product with those of competitors. A drag and drop assessment where the learner is presented with features of his firm’s product and those of its competitors. The learner needs to drag the features of his firm’s products and drop them. Evaluating The learner should be able to justify the price of the product. The learner can be asked to identify the superior features of the product which justify its higher price. A multi-select question can be used for this purpose. Creating The learner should be able to suggest a new way to use the product. A scenario, depicting the needs of the buyer, can be presented to the learner. Then, he can be asked to suggest how the product can be used, in a novel way, to meet the needs of the customer. Thus, learning objectives can be used to develop web-based assessments for measuring the effectiveness of a training program. How do you evaluate the efficacy of your learning programs? We’d love to know.